Rutherford controls 6 series heavy duty multi-function electric strike combines several requested key features. Standard features include a multi-voltage single solenoid, selectable lock mode (no tools necessary), 1/4-inches horizontal adjustment, and modular plug-in wire connectors for fast hook-up. An optional monitor switch is also available. 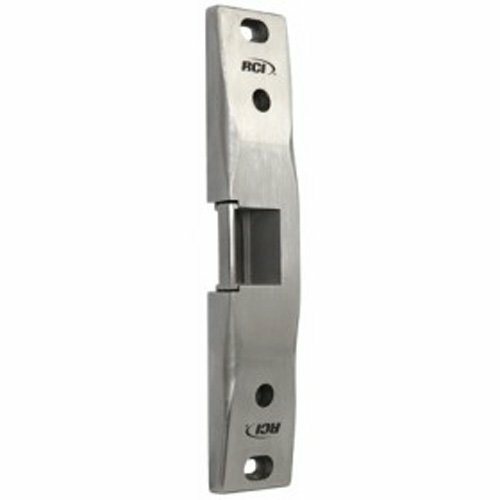 The L65 low profile version accepts 1/2-inches or 5/8-inches latch projection (perfect for narrow stile aluminum frames). 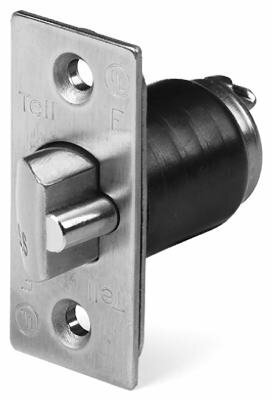 The S65 standard version is ideal when you require 3/4-inches latch projection. Field selectable voltage input - accommodates 12 or 24VDC and 12 to 24VAC (even 16VAC) in one strike. Modular faceplate designs for a variety of frame types and cut outs. 1-3/16-inches (S), 1-1/16-inches (L) frame depth. Non-Handed. Nominal resistance: 37/148/37 ohms. Current: 0.375/0.190/0.280 - 0.565 amps. 6 series electric strike used in commercial centers, industrial buildings, educational facilities, retail outlets, health, care facilities and office complexes. 3 year limited warranty. UL Listed for 1500 lbs static strength and UL 1034 burglary resistant Listed. 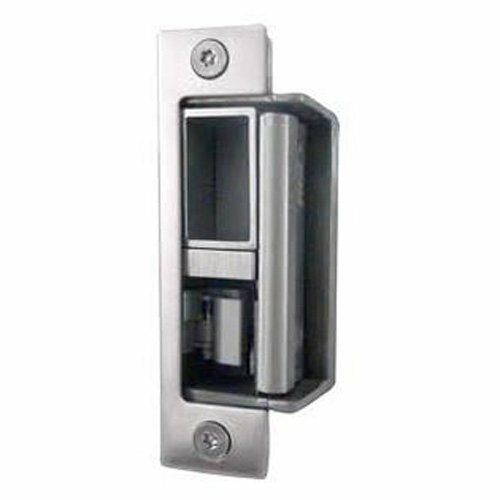 Rutherford Controls electromagnetic lock With its rugged, stainless-steel housing, the weather-resistant gatemag is the ideal solution for perimeter security and internal gates. The standard remote lock status (RLS) indicates whether the magnet is locked or unlocked, so you can easily monitor access from a remote location. The gatemag electromagnetic lock features a built-in conduit fitting and an extra-long wire cable allowing easy wire access to an electrical box. Applications : exterior or interior - sliding gates, swinging gates, tool cages, fences and storage areas. 6-1/2 feet(1.9 meters) wire cable. Conduit fitting inside diameter 1/2-inches. Conduit fitting outside diameter 3/4-inches. No residual magnetism. Built-in Remote Lock Status (RLS). Weather Resistant. Versatile face or bottom mounting. Power/current requirements: max 0.48A at 12 VDC, max 0.24A at 24 VDC. Output Contacts - Remote Lock Status (RLS) reed contacts are rated at Max 0.20A at 12VDC 0.12A at 24VDC. Wiring requirements - 2 wires - power input 2 wires - contact output. Holding force up to 1500 pounds. cULus certified. Lifetime warranty. Measures 8-7/8 inches length by 2-1/2 -inches width by 1-3/4 inches depth. 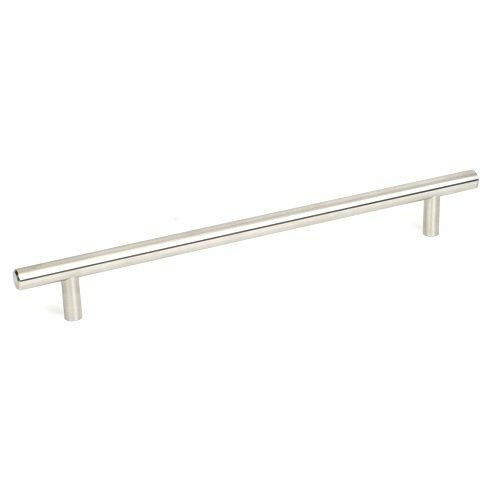 FPL Door Locks DH65-32D Heavy Duty Spring Loaded Step-On Door Holder - Stainless Steel: This heavy duty door holder is constructed from stainless steel with a US32D Satin Stainless Steel finish. It features a spring loaded plunger with a 1-1/2" throw and a large soft rubber foot for superior holding power. 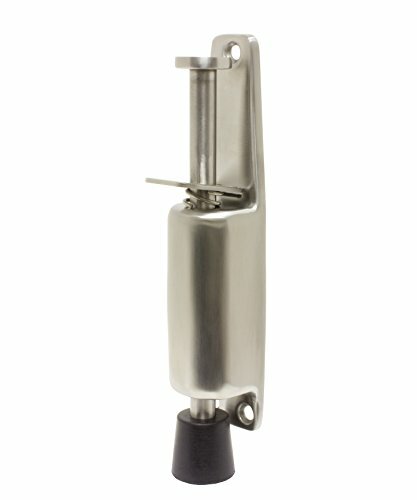 The plunger also has an internal rubber bumper for a quieter operation when retracting. This holder works best when it is installed on the frame side of the door so that the door pushes against the holder when trying to close. Package included one holder and three stainless steel mounting screws. Stainless Steel Ball Bearing Full Mortise Hinges features smooth operation ball bearings for medium to heavy weight doors. Made of Stainless Steel to resist corrosion. 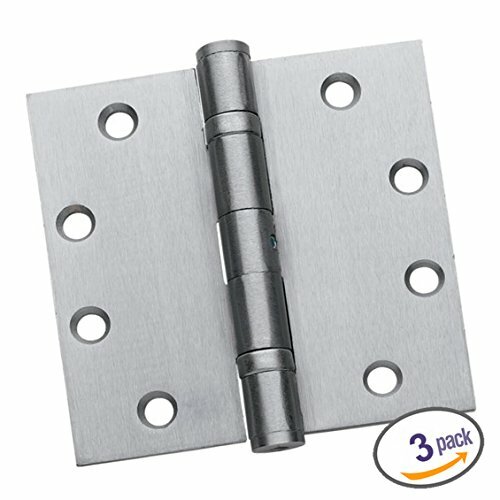 Constructed in stainless steel and finished in Brushed Stainless Steel - 32D, this heavy duty hinge can be used for standard and heavy weight commercial applications or exterior gates and doors. Package of 3. Rutherford controls 7 series adjustable electric strikes allow installers to adjust the strike pivot horizontally for precise alignment. Unique anti-vibration design prevents manipulation by vibration. Crossed wires are never a problem, as the coil is non polarity-conscious. 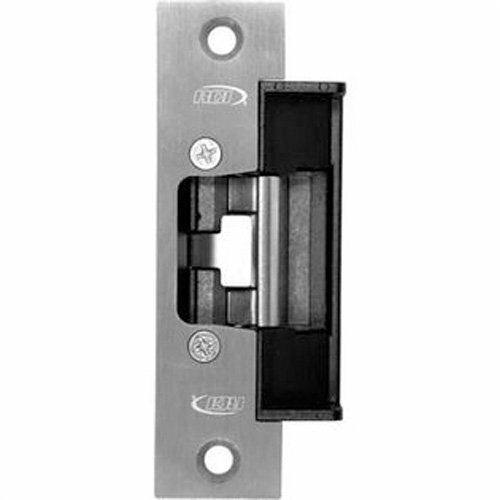 Accommodates 5/8-inches latch projection. 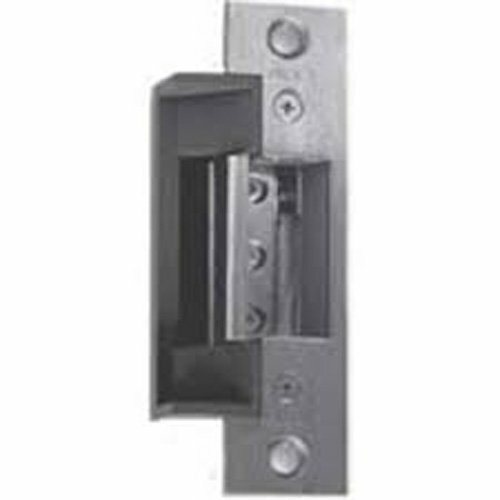 Enlarged latch cavity width allows compatibility with cylindrical, narrowline aluminum and centerline mortise locks (including 3-piece anti-friction type). 1/8-Inches horizontal adjustment. 1-1/2-Inches cut-out depth accommodates most aluminum and wood frames. Use with wide range of door thicknesses of 1-3/8-inches to 2-3/8-inches. AC/DC input acceptable for fail locked models. Fail unlocked mode requires DC. Standard mounting tabs, fasteners, and trim plate included. 7 Series adjustable electric strikes used in commercial centers, industrial buildings, educational facilities, retail outlets, health, care facilities and office complexes. Ul listed to 500 lbs of static strength. 3 Years limited warranty. 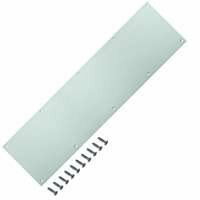 Mintcraft SS-KP630-32D-1 Stainless Steel Kick Plate Brushed 6"
MINTCRAFT SS-KP630-32D-13L KICK PLATE SS 6X30 BRUSHED. Use to protect door. 1.0mm thickness. Includes stainless steel screws. Copyright © Wholesalion.com 2019 - The Best Prices On 32d Brushed Stainless Steel Online.